Do you have a website in the pipeline? Are you developing your website using WordPress? Do you want traffic, even before you have officially gone online? Do you want to have people check back with your website every few days? When you have a website in the pipeline, then setting up a coming soon page could be a very great way to engage visitors. Well look no more. This is a compilation of best WordPress Coming Soon themes from all over the Internet. Whether you want to keep it simple or you want to engage the visitors in an innovative little way, we have a theme for you. 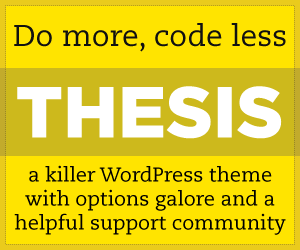 Although most of these themes are premium, don’t worry because most of them are worth paying for others are free. Setting up a WordPress Coming Soon Theme, will show a timer on your homepage which will let the visitors know when your website will be unveiled. While some free WordPress Coming Soon Themes would give you a plain timer others will give you more innovative ways to let your visitors know when you are going online. Some might show the time in form of cylinders, others could go for something a little different. So go ahead. Through our collection of the best WordPress Coming Soon Themes give your under construction website a very alluring unparallel landing page. A great way to get a huge viewer base; even before you launch your website officially. Choose the one that inspires you and keep your visitor base engaged. Startit is a fresh Tech & Startup multi-purpose Business WordPress theme. It comes with fully featured and complete package, you will be able to launch your website just one click. Startit looks awesome on all devices and with high density retina screens with fully responsive and Retina layout design. It comes with free Visual Composer and Slider Revolution, Via po/mo files for any language translation. Startit is compatible with WooCommerce, SEO optimized, add 600+Google Fonts for typography control, Contact Form 7 Integration, Full Screen Select Slider with parallax functionality, Video Background Sections, Blog templates, Portfolio layouts and much more. StartIt has a large collection of powerful options that give you complete control over every detail on your website for different subject you want. WP-ParkIt is a premium WordPress Theme Best for “Coming Soon” purposes that comes with simple single page layout. WP-ParkIt is fully customization with features such as custom “Thank You” message and many more. While you’re working on your new website design, tease your visitors with this simply chic coming-soon page. Landis is a simple one page Landing/Under Construction WordPress Theme that allows you to keep your users informed while you are building a your amazing new website.